Nottingham, Aug 20: Cheteshwar Pujara (56) and skipper Virat Kohli (54) helped India take their overall lead to 362 at lunch as India were 194/2 in their second innings on the third day of the third Test against England here on Monday. Pujara and Kohli were at the crease when umpires called for the break. The duo stitched a crucial 83-run partnership for the third wicket to put India in the driver's seat. Resuming from the individual overnight scores of 33 and 8, Pujara and Kohli played out the opening hour cautiously. Pujara was dropped at the slips when he was 40 but after that the Indian batters played freely. In the process, Pujara and Kohli completed their half centuries in style. England bowlers, on the other hand, struggled to find the right length and were punished regularly. Towards the end of the session, skipper Joe Root also came to bowl as their front-line bowlers were struggling. Brief scores: India: 329 all out and 194/2 (Cheteshwar Pujara 56 not out, Virat Kohli 54 not out; Adil Rashid 1/38) at lunch against England: 161 all out. Let the Truth be known. If you read VB and like VB, please be a VB Supporter and Help us deliver the Truth to one and all. Chennai, Apr 23: Shane Watson brought back memories of last year's IPL final with a blazing knock that has now almost ensured a play-off berth for Chennai Super Kings as they beat Sunrisers Hyderabad by six wickets here Tuesday. On a vastly improved Chepauk track, Watson roared back to form with an 96 off 53 balls as CSK stuttered a bit in end before winning in 19.5 overs. Watson's innings studded with nine fours and half a dozen of sixes ensured that CSK have reached the cut-off limit of 16 points needed for the play-off even though they would like to finish in the top two. Watson's innings would also be a relief for skipper Mahendra Singh Dhoni, who had urged the top order to finish matches. A 77-run stand between Watson and Suresh Raina (38) created the platform and the former Australia all-rounder singlehandedly decimated the Sunrisers attack. What made it more difficult for the Sunrisers was the fact that their strike bowler Rashid Khan was pulverised by Watson, who took him to the cleaners with 44 coming off his spell. Sandeep Sharma was another bowler, who was handed severe punishment as he went for 54 in 3.5 overs. Sandeep repeatedly bowled short and Watson would gleefully pull him. Skipper Bhuvneshwar Kumar (1/18 in 4 overs) had no option but to bowl the 19th over and left Sandeep with nine runs to defend. However Kedar Jadhav literally finished the match with a six off the second ball that sealed the deal. Earlier, the immensely talented Manish Pandey was back in his element as his unbeaten 83 off 49 balls powered Sunrisers Hyderabad to a fighting 175 for 3 after being put into bat. Pandey and league's current leading run-scorer David Warner (57 off 45 balls) added 115 runs for the second wicket to lay the foundation for a decent score on what was the best batting track on offer at the Chepauk. Veteran spinner Harbhajan Singh struck an early blow, having the in-form Jony Bairstow caught behind in the second over for a duck. He was the most successful bowler with figures of 2 for 39 in four overs while Deepak Chahar picked up the wicket of Vijay Shankar (26 off 20 balls). Despite the early dismissal of Bairstow, the visiting team didn't get tied down as the irrepressible Warner and Manish Pandey kept hitting those boundaries and sixes. They brought up the team's 50 in the sixth over. Pandey who has not been in the best form, hit his straps, scoring freely and was not afraid to go over the top. Dhoni's shuffling of the bowlers didn't make much of an impact as Warner and Pandey kept attacking. Pandey was the first to reach 50 in 25 balls, pulling one from Dwayne Bravo for a boundary. Warner was a touch slower in comparison to Pandey, but didn't miss out when the opportunity presented itself and hit a couple of big sixes. The pugnacious Warner fell against the run of play, victim of Dhoni's trademark lightning quick stumping off a Harbhajan delivery. The Australian, who is leading the run charts this season, fell for 57 (45 balls, 3x4, 2X6) after adding 115 runs for the second wicket with Pandey. 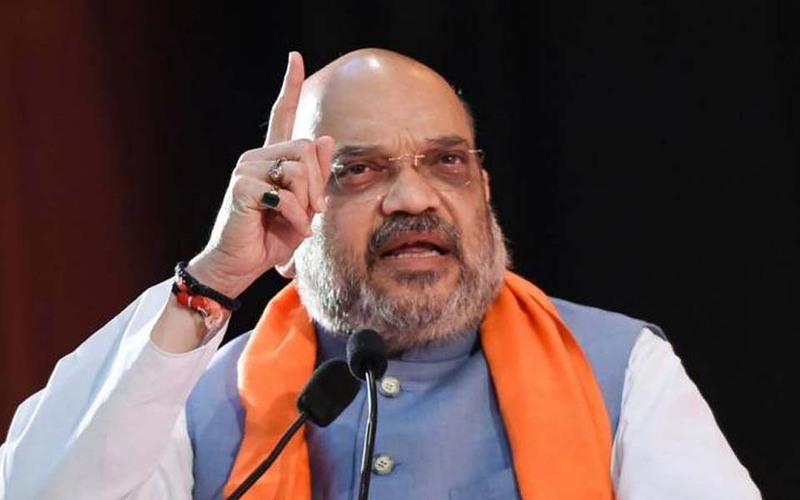 Chhatarpur (MP): BJP chief Amit Shah Tuesday said the party's Bhopal Lok Sabha candidate Pragya Singh Thakur was framed in false cases by those who had coined the term "Hindu terror" and indulged in vote bank politics. New Delhi: Nearly 66 per cent voter turnout was recorded in the third phase of the Lok Sabha polls on Tuesday, the Election Commission said. 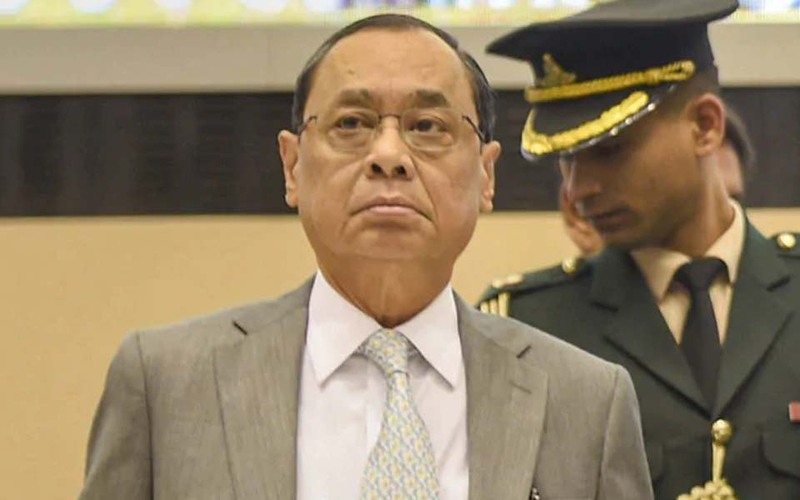 New Delhi: Justice S A Bobde, the senior-most judge of the Supreme Court, was Tuesday appointed to conduct an in-house inquiry into the allegations of sexual harassment levelled against Chief Justice of India Ranjan Gogoi.